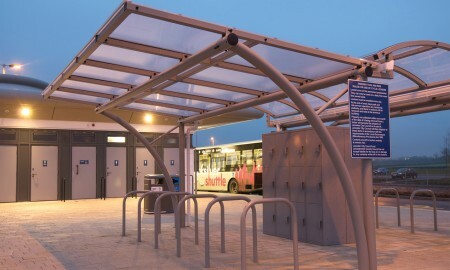 Opened in November 2009 Enderby Park & Ride, Leicester was a joint project between Leicestershire City and County Councils to provide a facility for people visiting the City Centre to park their vehicles and cycles outside of the town before catching a low emission bus into the centre. 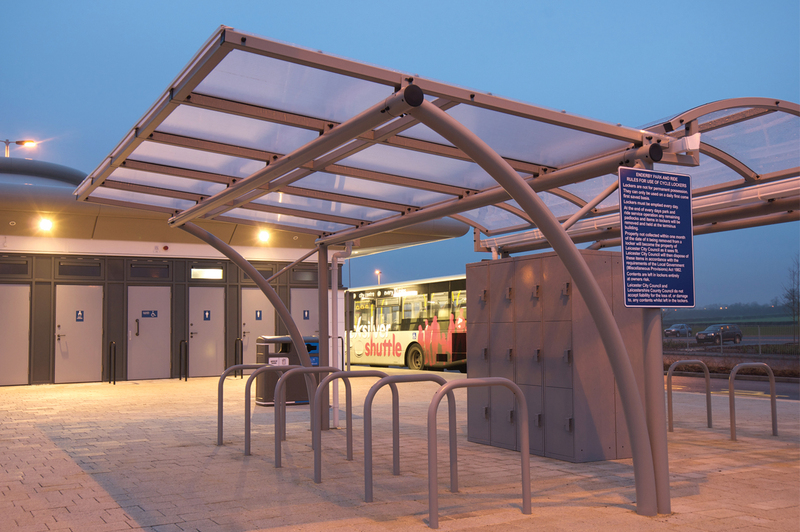 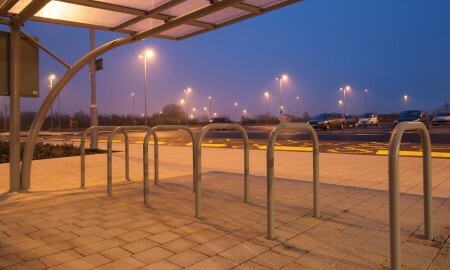 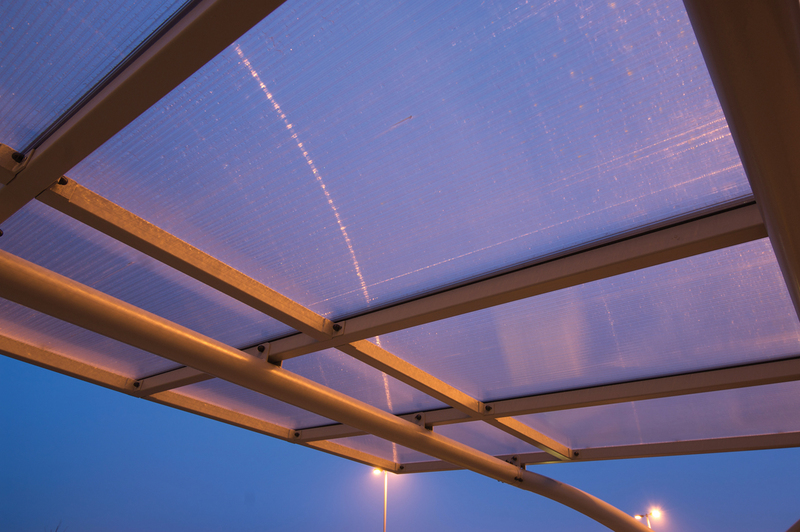 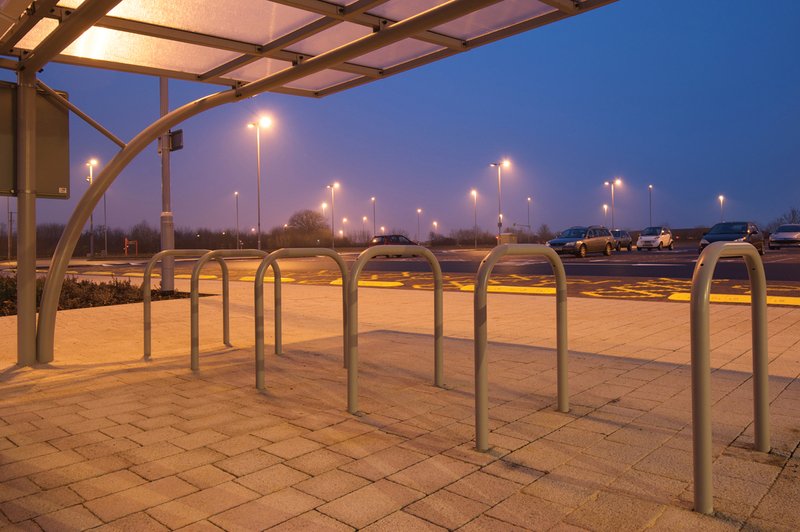 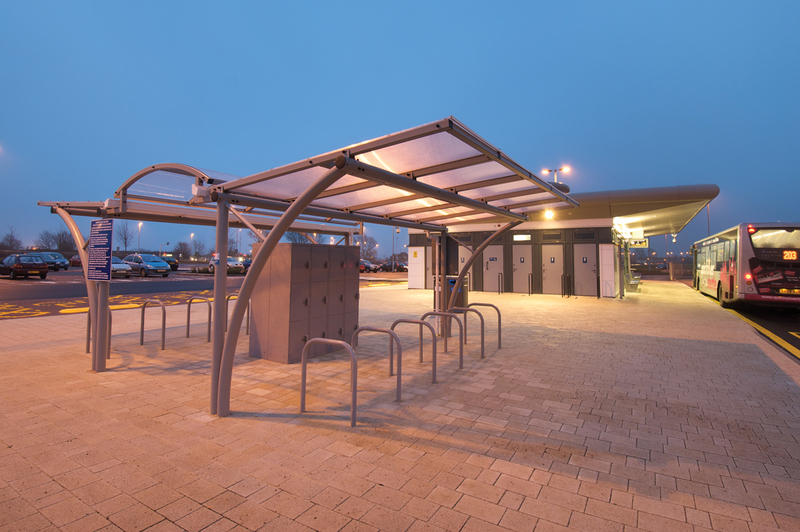 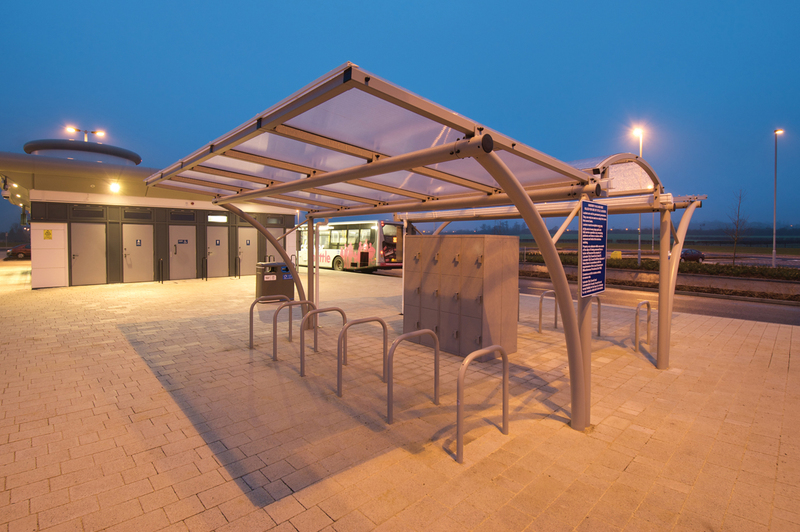 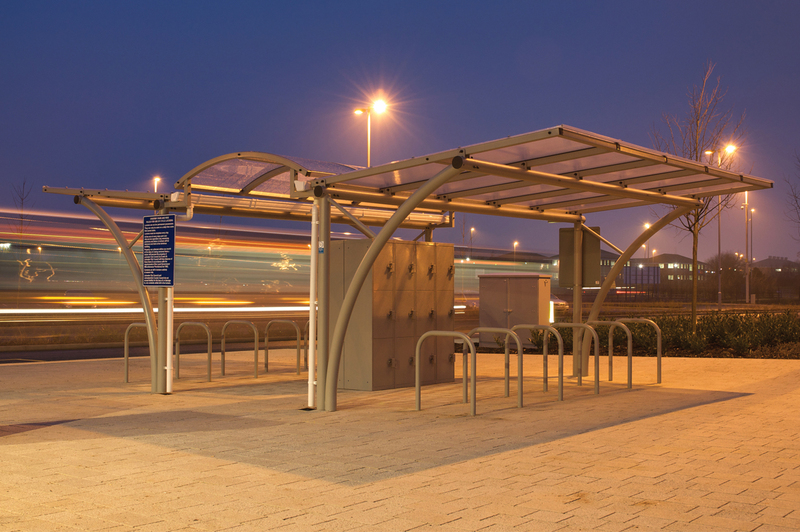 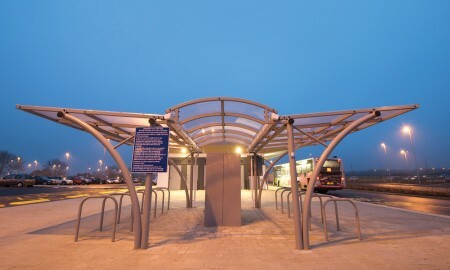 Broxap were awarded the contract to provide a covered cycle parking area next to the main terminal building. 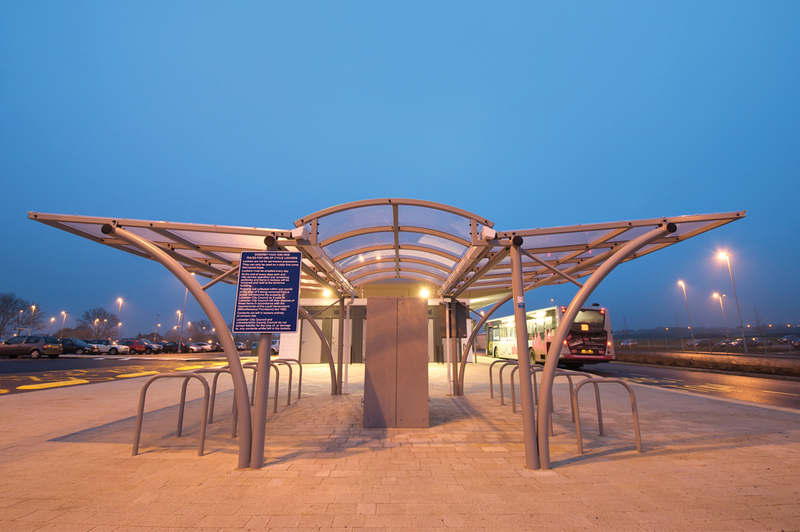 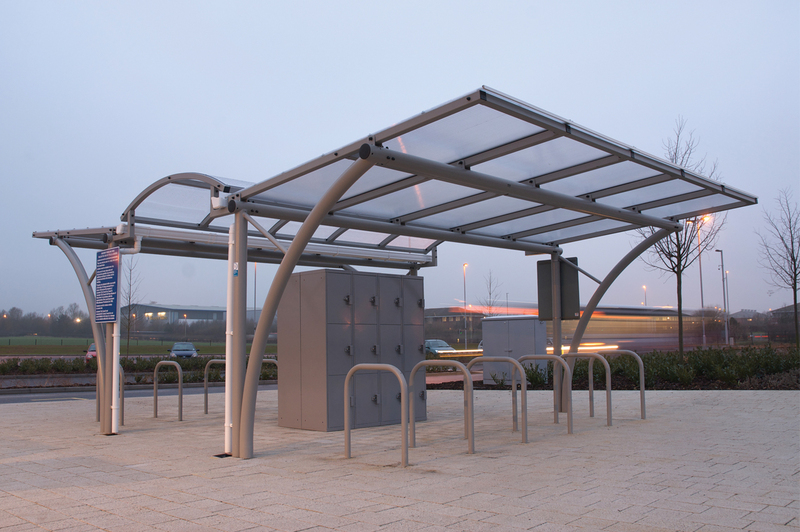 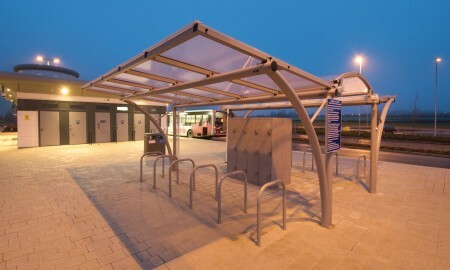 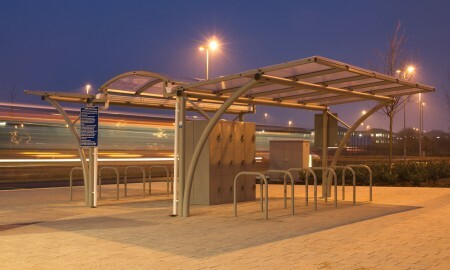 Broxap designed a shelter comprising of two of its standard Cambridge Cantilever shelters with a Newcastle Walkway roof suspended in between to produce a central corridor allowing cyclists to park their bikes on the Sheffield stands provided beneath the shelters and then move to the central corridor to utilise secure lockers for their belongings before heading to the terminal building. 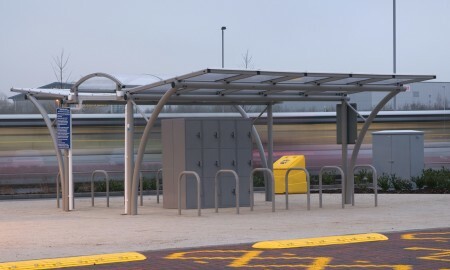 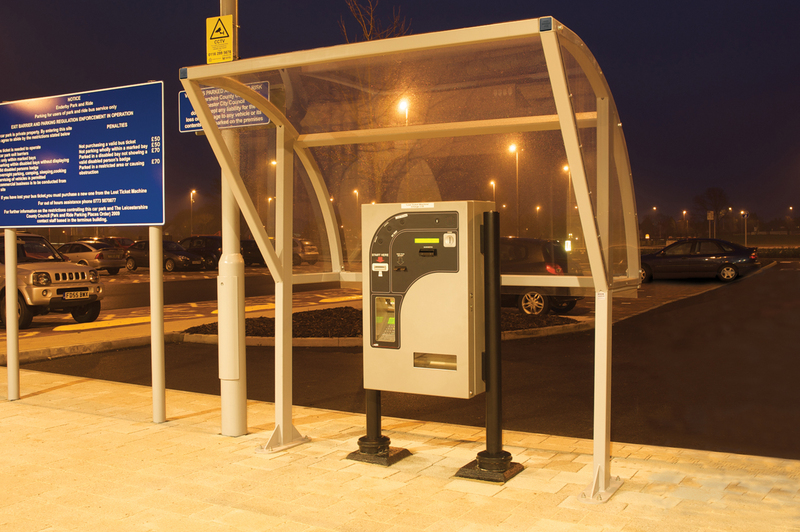 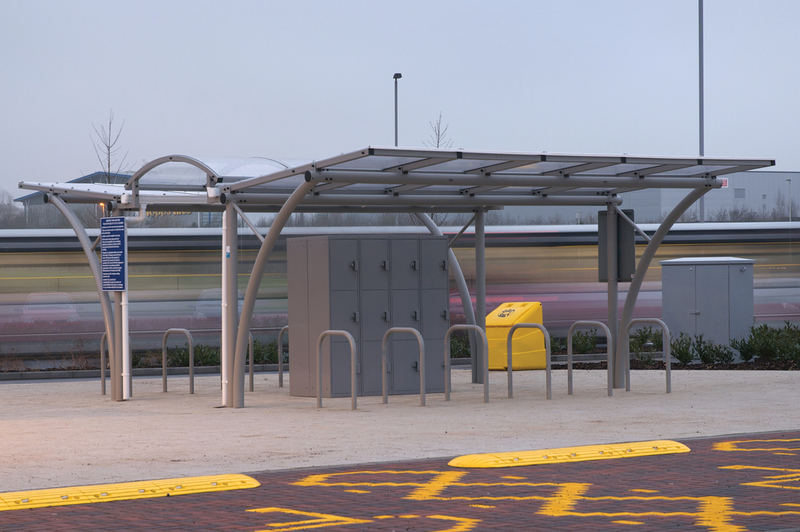 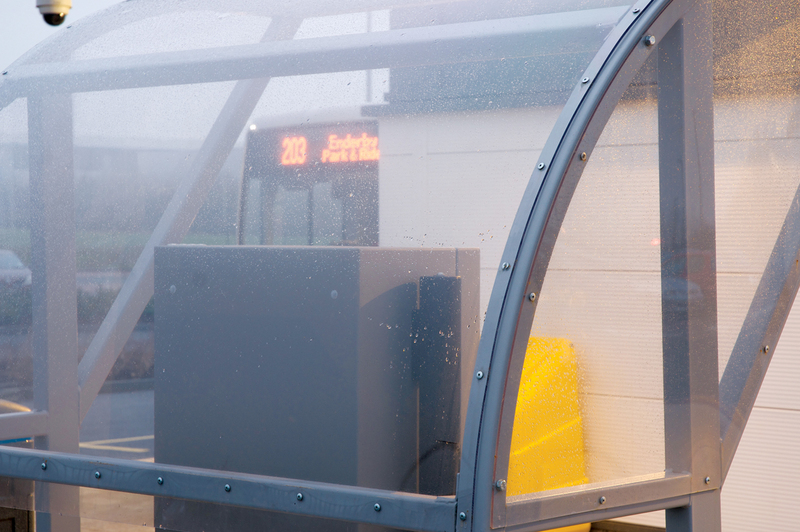 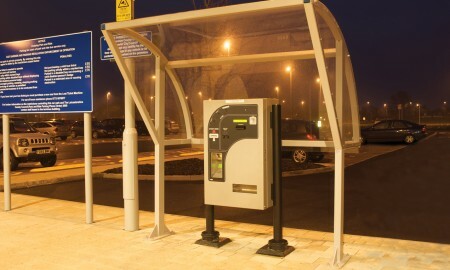 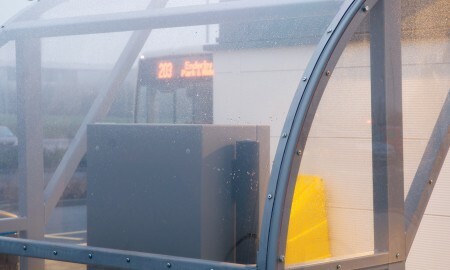 Broxap also provided ticket machine shelters to the perimeter of the car parks.